For family and friends - our travels on Island Swift. There is a short article we have written for Yachting Monthly in the July 2017 issue. Everyone's Sailing Library is very personal and built up over time. In this blog I have put together a list of the books I keep on the boat that are my favourites. I have also included other books and websites that I think are useful or interesting. I love reading books and learning new things and understanding different perspectives. I am also always keen to find new books for my Library. So if you feel there are missing books from my list then please do let me know so that I can have the pleasure of finding and reading them. 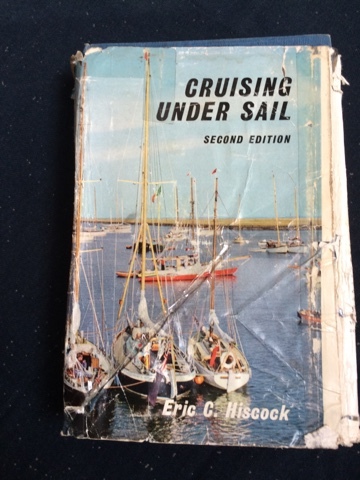 As you may know I'm an old fashioned girl when it comes to sailing and my choice of books reflects that. But there are some modern books in the mix. I'm happy to include more! These two books are my most used and favourite. There is information on all aspects of cruising and voyaging from choosing a boat, making baggy-wrinkles, to celestial navigation. If I had to choose one book to have, it would be Cruising under Sail. Be careful the updated versions were not as good. This book is worth reading because it illustrates how it is possible to go sailing on a budget. You do not have to be wealthy and you do not need all the most modern gadgets. Also has Wylo plans for those who are interested. We didn’t mean to go to sea for quite so long (nearly two years in fact) but having returned from our Caribbean adventure we immediately found ourselves embroiled in yet another silent-movie caper. Having fulfilled one ambition, of sailing across the Atlantic and back, our two teenage sons quickly set about fulfilling another – that of us all performing together in their favourite Bash Street show. So within days of reaching terra firma, we were back in rehearsal, busily revising Bash Street Theatre's most popular show CLIFFHANGER! – a real-life silent-movie, and truly it’s a family affair. 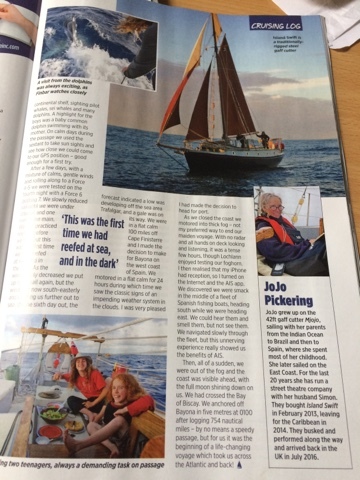 This blog narrates some of our sailing adventures on Gaff cutter Island Swift, which is a 35ft fixed keel Wylo designed by Nick Skeats. 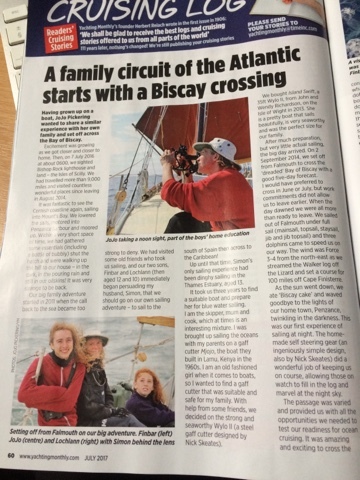 JoJo is the skipper and sails with her husband Simon and their children Finbar (17yrs) and Lochlann (15yrs). Petronella's Voyages - John and Gill on a 'Joshua'. Gill is the first other women skipper I have met. Jack and Fizzy's Adventures - on their a Franchini 47 yacht Carpe Diem, with our dogs Ben and Lucy. The Great Pea Green Boat Adventure - Ben and Philipa with toddlers Alfe and Olive. Heading for the Sun - Richard and Eilish on their 35ft Wylo 'Granuaile"